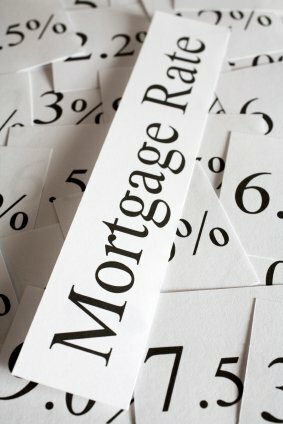 The Bank of Canada (BoC) meets this Wednesday, and while most market watchers aren’t expecting the Bank to raise its overnight rate at this meeting there is still the possibility that its accompanying commentary could push Government of Canada (GoC) bond yields higher, along with the fixed mortgage rates that are priced on them. The BoC will also release its latest quarterly Monetary Policy Report (MPR). The MPR provides us with the Bank’s latest assessment of the current economic conditions at home and abroad and includes forecasts for key economic data. Simply put, if you’re trying to figure out where fixed and variable mortgage rates may be headed, Wednesday will be an important day. What is the Bank’s current assessment of our economic conditions? Since then we learned that our actual year-over-year GDP growth came in at 1.5% in Q3, and at 1.7% in Q4, marking a sharp slowdown from the first half of the year and falling well short of the Bank’s expectations. Furthermore, Statistics Canada’s initial GDP estimate for January 2018 came in at -0.1%, so our economy moved to outright contraction over the first month of this year. What factors will the Bank attribute this lost momentum to? We are experiencing headwinds from rising trade uncertainty, three recent policy-rate hikes, a lofty Loonie and the sixth round of mortgage-rule changes, to name a few. I will be interested to see how the Bank believes the interaction of these factors will impact our economic momentum going forward. In its January MPR the BoC had forecast that our overall GDP will rise by 2.2% in 2018 and fall back to 1.6% in 2019. Will those projections be revised lower this time around? Is the Bank still willing to look through rising in inflationary pressures? In January the BoC predicted that inflation would rise as a result of “temporary factors” that would then dissipate over time, but the Bank expressed confidence that it would “remain close to 2% over the projected horizon”. Since that time, inflationary pressures have continued to rise and at last measure came in at 2.2% in February, which is a little above the Bank’s 2% target. At the same time, two of the BoC’s three sub-measures of core inflation, CPI-trim and CPI-median, have also now risen above 2%, and the third, CPI-common, hovers just under that level at 1.9%. Will the Bank continue to look through this rise in inflationary pressures? On one hand, while the BoC uses a main target of 2% for its inflation data, it uses a broader target range of 1% to 3% that allows for some fluctuation. In that context, the current rise in our inflation levels is tolerable. On the other hand, the Bank continually reminds us that it must “anticipate the road ahead” when setting monetary policy, and if it lets inflation run too hot, it may have no choice but to tighten more severely later. How will the Bank assess the current health of our labour market? Our economy added jobs at a torrid pace in 2017. Our unemployment rate now stands at 5.8%, the lowest it has been since 1976, and average year-over-year wage growth has recently risen to 3.1% after years of barely keeping pace with overall inflation. That said, a more detailed look at the quality of our employment growth paints a less rosy picture. Our private sector has lost 70,000 jobs since the start of 2018, our manufacturing sector has been shedding jobs of late, and we have seen a big rise in “self-employment”, which may be masking a rise in the number of workers who are actually unemployed. Also, recent minimum wage hikes in Ontario and British Columbia have provided policy-induced bump to our average wage growth, but those are one-time impacts and are not a sign of sustainable improvement. The BoC’s own assessment of the strength of our labour market has undergone a surprising evolution of late. After repeatedly warning about tightening labour-market conditions and rising labour costs in 2017, in early 2018 the Bank cited new research which showed that our labour market, largely through flexibility in the participation rate, has significant untapped potential “that could prolong the expansion without causing inflation pressures”. Our labour market’s newfound capacity for expansion and the current slowdown in our economic momentum both suggest that our labour-market conditions are not as tight as was previously believed. If the BoC explicitly acknowledges this, it should take a lot of wind out of the bond-market bull’s sails. Is the Bank buying the narrative that the recent acceleration in U.S. economic momentum is sustainable? Last week the U.S. Federal Reserve released the minutes from its March meeting in which they revealed an almost unanimous belief among the Fed’s members that U.S. economic momentum was strong and would continue to grow stronger. If that assessment proves correct, the BoC expects that we will see “positive spillovers for Canadian investment and exports”. But a more detailed look at the U.S. economic data leaves me unconvinced. In the fourth quarter of 2017, U.S. GDP growth slowed to 2.5% on a year-over-year basis and while that’s still considered a fairly healthy number nowadays, that GDP rise was essentially financed by eye-watering increases in student loan and credit card debt, pushing both to record levels. Relatedly, the U.S. savings rate bottomed at 2.4% in December 2017, near its all-time low, and while it had recovered to 3.4% in February, is still a long way from its long-term average of about 8.5%. Thus far it appears that the much ballyhooed Trump tax-cuts that were expected to drive a surge in consumer spending are going instead to much needed debt repayment and personal balance-sheet repair, and since U.S. consumers account for 70% of overall U.S. GDP, I just don’t think the BoC’s hoped-for spillover from a rise in U.S. economic momentum will materialize. That said, we may well experience a spillover of a different kind from our neighbors to the south. The U.S. economy is now widely believed to be operating at or even above its output capacity and the U.S. Federal Reserve has been increasing interest rates in an attempt to stave off inflationary pressures, a normal response under current conditions. What isn’t at all normal under these same conditions is to cut taxes and massively increase deficit spending to stimulate still more growth at this point in the U.S. business cycle. These unconventional moves by the U.S. federal government may well trigger a further surge in U.S. inflation, and if that happens, rising U.S. inflationary pressures are likely to spill over into Canada. Will the BoC highlight this risk in its “Risks to the Inflation Outlook” section? Has the BoC’s assessment of our trade negotiations with the U.S. become any clearer? There has been a recent surge in optimism surrounding the NAFTA negotiations, but nothing concrete has materialized thus far. Now that President Trump has picked a tariff fight with China, does that increase the pressure for him to lock down NAFTA and provide reassurance to Americans that he can set aside his trademark bluster and actually put pen to paper? The current trade uncertainty surrounding NAFTA has already hurt our economy as businesses who operate on both sides of the border have chosen to invest in the U.S. instead of Canada. Despite this, the BoC continues to hope that increased business investment will help offset the expected drop in debt-fuelled consumer spending., It’s very hard, however, to see that happening until businesses are much more confident about trade conditions with our largest export partner. Bluntly put, I think it is unlikely that the BoC will raise rates again until the NAFTA picture becomes clearer, and with that in mind, it will be interesting to see if the Bank shares any of its thinking about the newfound optimism surrounding this file. The Bottom Line: While the consensus isn’t expecting the BoC to raise its policy rate when it meets this week, the Bank’s accompanying commentary and the release of its latest MPR still have the potential to move bond yields up or down. I’ll be looking for answers to the five questions outlined above, and will circle back next week with my take on what the BoC said. Stay tuned.